Sydney artists whose friends and family have suffered religious persecution in Iran opened an exhibition of their work at Articulate Project Space in Leichhardt, New South Wales on 5 August 2017. The exhibition will continue until 20 August 2017 and will include a public program of art workshops, performances and artist talks, including activities for children and families. The artists’ works focus on Iran’s seven former Baha’i leaders, known as “the Yaran”, who are currently serving the 10th and final year of a jail sentence, condemned internationally for its injustice. They are imprisoned solely because of their role as members of the ad hoc leadership group for Iran’s Baha’i community and for their beliefs as Baha’is. Five of the seven have relatives living in Australia, including one of the artists–Mehrzad Mumtahan. The Australian Government has called for the immediate release of the seven leaders. The artists say their aim is to take their audience on a journey moving from persecution to constructive resilience and spiritual freedom. Members of the Baha’i Faith, Iran’s largest non-Muslim religious minority, have been subjected to a systematic campaign of state-sanctioned violence and discrimination, condemned by the United Nations, the Australian Government and other governments. The persecution continues despite international outcry, and despite the Baha’is’ commitment to fostering peace and harmony in their country, their abstention from partisan politics and their determination to always obey the law of the land. Margaret Roberts, an artist-director of Articulate Project Space, expressed her feelings about the exhibition. 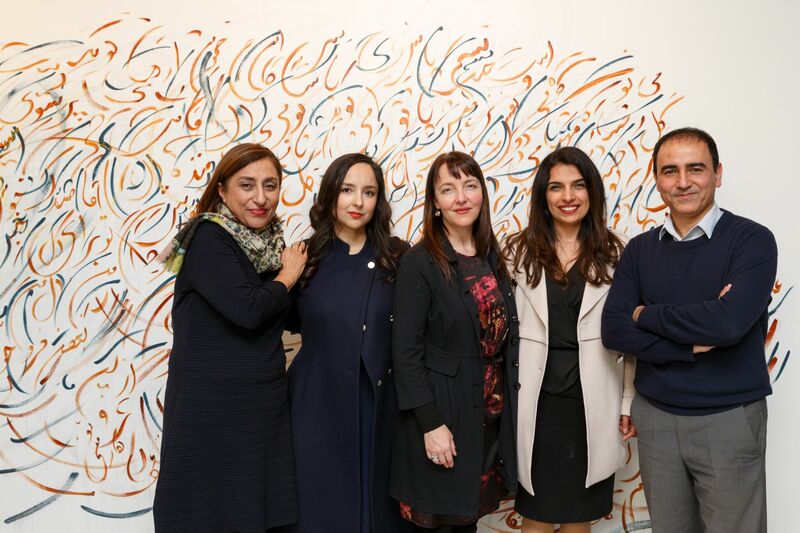 “Articulate project space is pleased to present Ink of Light and work with the artists and curatorial team on this important exhibition, examining the plight and predicament of the Yaran and their experiences of persecution and human rights abuses perpetrated against them, Ms Roberts said.